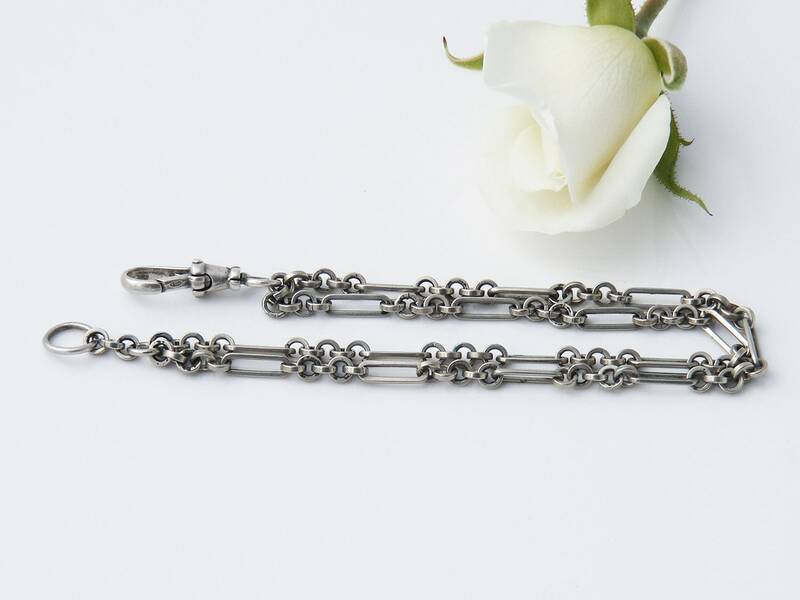 A silver Albertina watch chain from the early 1900s with an interesting double strand link. 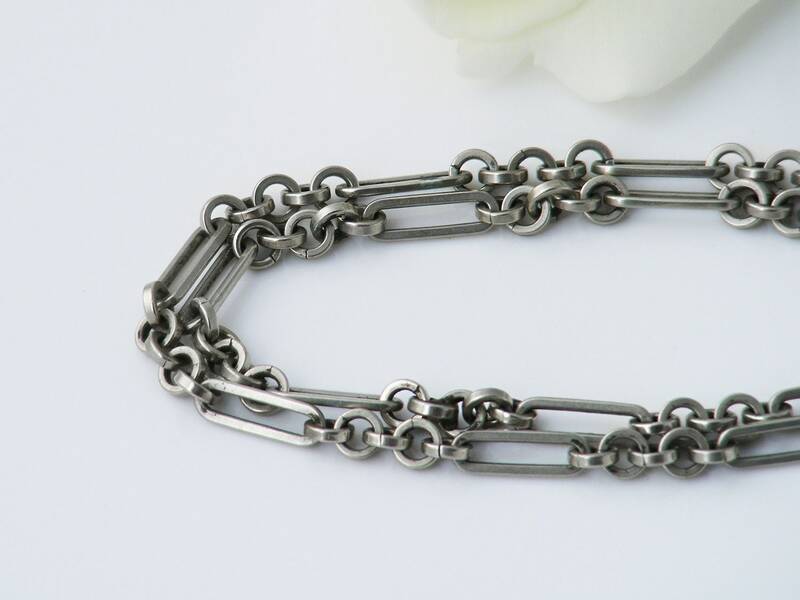 This Edwardian era fob chain makes a unique bracelet. Silver marks: stamped for silver on the clip and the added fastening ring is also sterling. 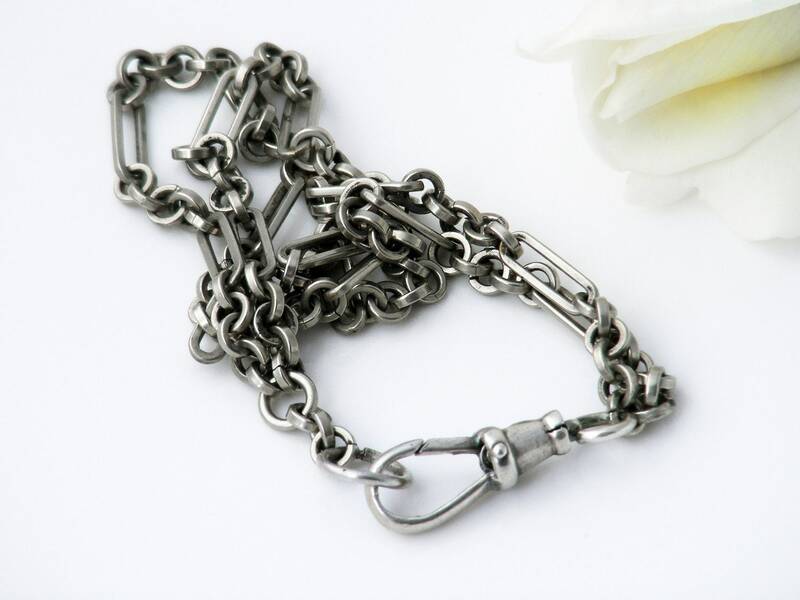 Note: the chain is not sterling, likely to be a silver alloy and it is very strong with nice patina. Length - slightly over 8 inches or 21cm including the fob clip. Width - the double strand is 6mm wide, the individual strands are 3mm wide. Condition: Very good. Links are all super strong and the clip working well. Please note that we have added end fastening ring (soldered closed for safety). 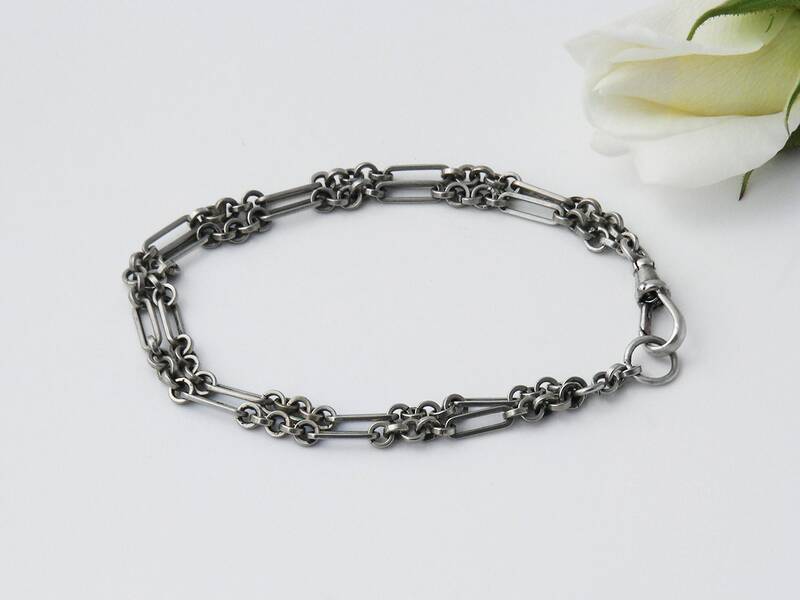 An attractive Edwardian chain that is lovely worn as a bracelet. 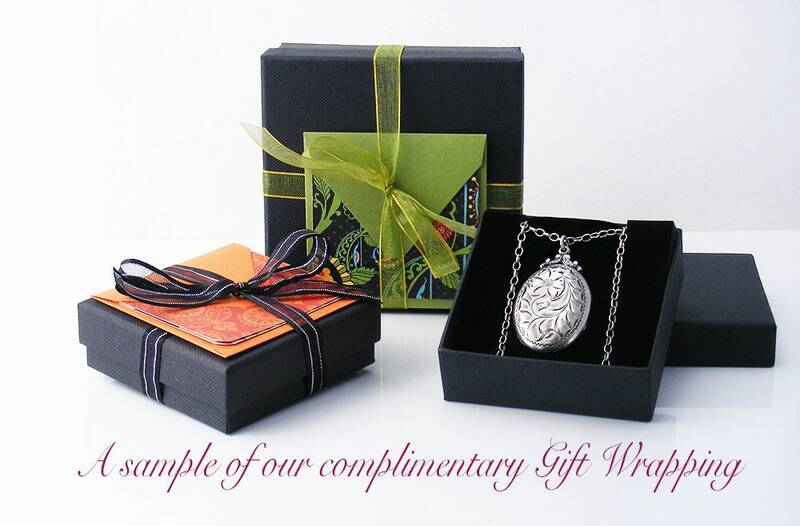 I received my items today: a locket and a bracelet. First let me say how beautifully they were each packaged! Jeanne sent them to me boxed and ready to give as gifts, complete with a blank note card and bow! I was very impressed! 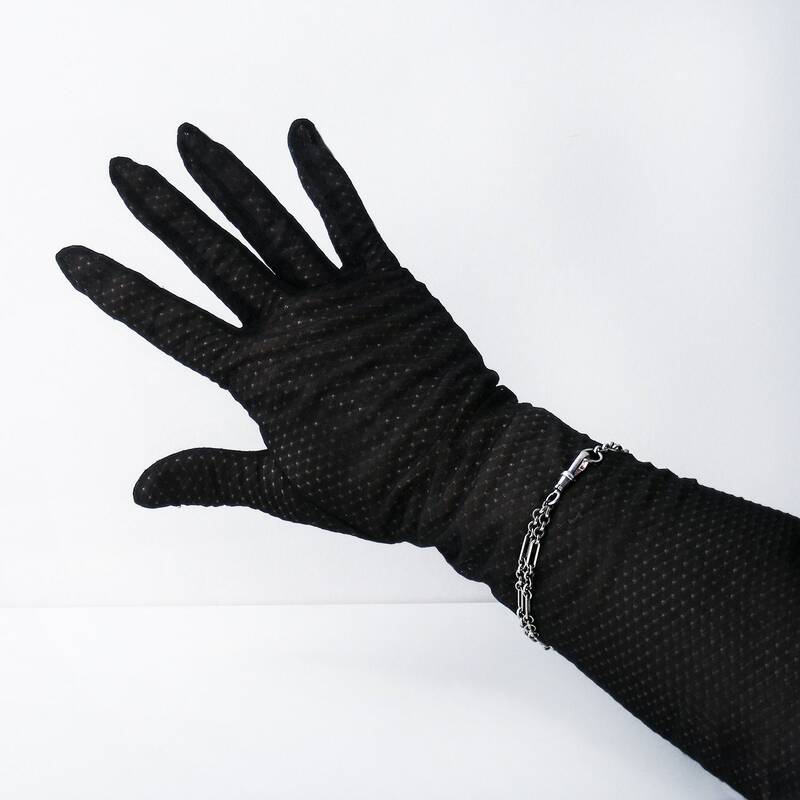 The items were exactly as pictured and in excellent condition. So glad I made this purchase!